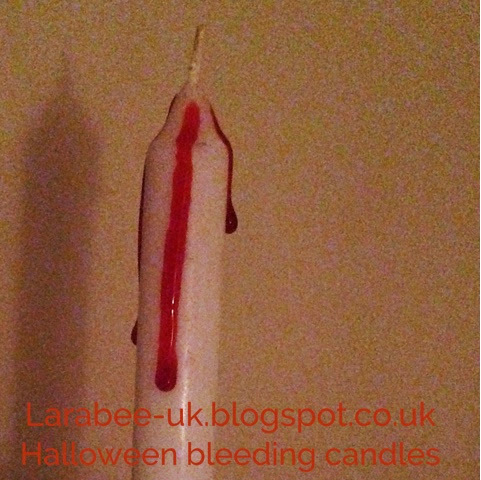 Just 2 supplies needed, candles and syrup based fake blood! 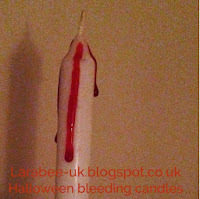 This is the kind of fake blood sold in most supermarkets or pound shops, do look out for the sugar/syrup one though. 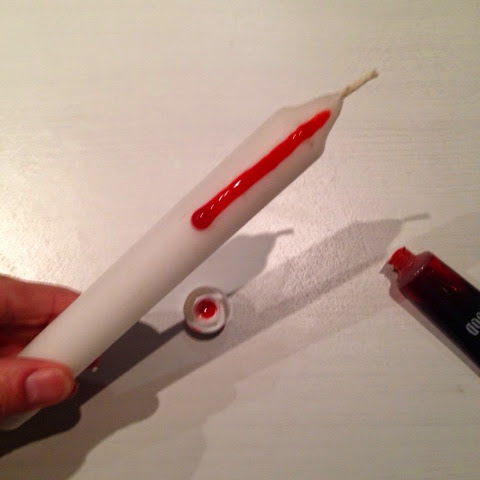 Add a splodge of fake blood near the wick, then hold straight to allow it to drip down the length of the candle, I find that 3 drips per candle looks perfect. If it doesn't look quite right, at this stage you should be able to wipe it off with an anti-bac kitchen wipe (not sure if anything else works, this is all I've tried!) Leave overnight to dry. 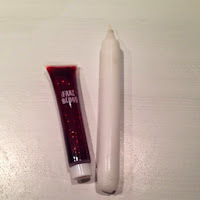 Because this is just sugar syrup these candles are fine to light. Once the blood is dry it's appearance will be like rubber and it shouldn't be sticky. 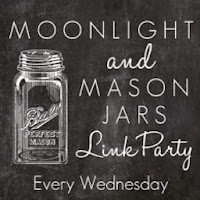 This post is linked up to the Cherished Bliss Moonlight & Mason Jars Link Party and Sunday Stars. Love it, getting into the Halloween mood already. We decorated the house yesterday, which was fun. No fake blood for us though, the girls would go crazy and before I know it my white walls would be pink!